"I really like using TimePilot. It is simple, it can take the beating, low battery-consuming, and most important, it's reliable. 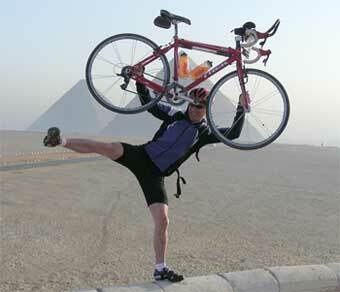 And that's crucial for us ..."
In 2012, we received this e-mail from Cristiano Werneck, who oversees timing on the Tour d'Afrique, a 7,500-mile bike race from Cairo, Egypt, to Cape Town, South Africa. 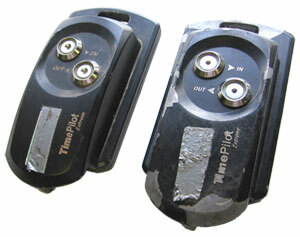 TimePilot weatherproof clocks have been used in the race since 2010. 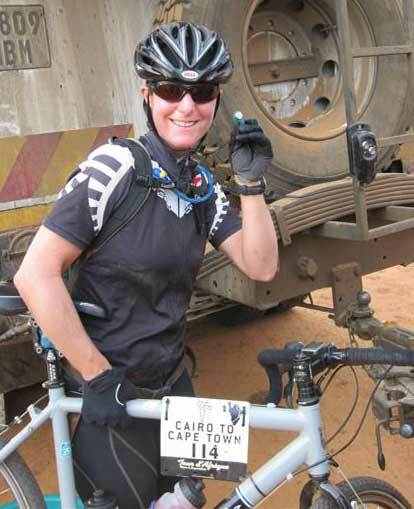 "For the last two years, I've been the person who manages the timing system during our bicycle race in Africa, carrying my TP Extreme up and down daily through all kinds of real extreme conditions. I must say that this 'little' black box handles well what we put it through during 4 months every year for 12,000 km across Africa. 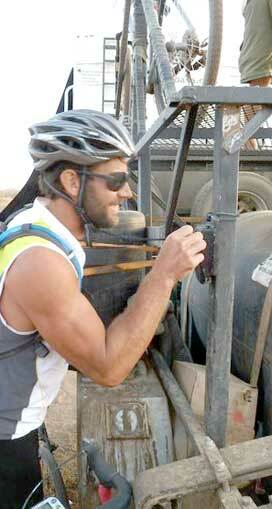 Desert, heat, cold, huge sand storms, heavy rain, mud, floods... And a lot of sun! "In 2011, we pretty much attached it and zip-tied it to the back of the trailer being pulled by a big overland truck in Cairo and left it there all the way to the end in Cape Town, through horrible roads, exposed to all the mud and dust and everything else you can think of. [Editor's note: See the photos at the bottom of this page.] I guess we changed the batteries once, and I knew that every evening I would have the results in the USB stick. "We did learn from the previous year that the plastic battery holder couldn't really handle all that, and we now always zip-tie it to batteries pretty tight as soon as we get the device out of the box, and we haven't had any more problems. But that is just us abusing it too much, it is actually not a quality problem. It's our fault. "Personally, I really like using Time Pilot. It is simple, it can take the beating, low battery consuming, and most important, it's reliable. And that's crucial for us, especially since we have been getting more and more serious racers year after year." If you spent 3 years and 22,500 miles strapped to the back of a truck in the deserts and jungles, sandstorms and downpours of Africa, you’d look a little worse for wear, too! The company that runs the Tour d'Afrique, TDA Global Cycling, returned its two clocks (shown at right) to us for refurbishment before its 2013 race across Africa, which began in Cairo. We were pleased—but not surprised—to find that despite their beaten-up appearance, the clocks still worked perfectly. For the first three years, Tour d'Afrique used TimePilot Extreme timeclocks with our off-the-shelf software. For the 2013 race, however, TimePilot customized its Extreme system to provide race times down to the second. If your company is interested in using this version of our product, please contact us at info@TimePilot.com or 630-879-6400. 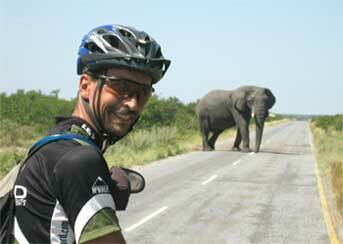 The Tour d'Afrique is one of several trans-continental bike tours run by TDA Global Cycling, a Toronto-based company. The company also sponsors the 7,500-mile “Silk Route,” from Shanghai, China, to Istanbul, Turkey, and the “North American Epic,“ a 6,200-mile cycling odyssey from Anchorage, Alaska, to Mexico City, Mexico. In each of these events, riders have the option of racing or simply enjoying the experience and cycling either the entire distance or just a section of it at their own pace.